Panelists at the Ferguson Commission: Where Do We Go From Here? panel on Sept. 21 at Wellspring Church in Ferguson. Part Two of the "Ferguson Commission: Where Do We Go From Here?" 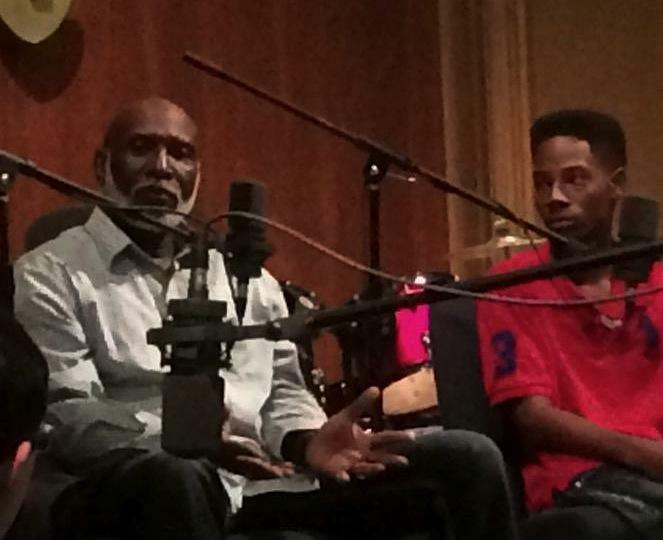 panel, held at Wellspring Church in Ferguson, on Sept. 21, 2015. While members of the panel remained reservedly optimistic about the report’s utility, a deadlocked Missouri legislature and questions about the ability of individuals to change themselves, let alone collaborate between protester, business owner, and community resident, were a recurring point of concern. “The legislature is not going to fix this intra-community kind of issue,” said Willis Johnson, panelist and pastor of Wellspring Church in Ferguson. “We need to understand how our protest and our enterprise intersect. How do we agitate but also empower, or not take away from our brothers and sisters? We need to be coming up with these strategies for our own survival. Terry Jones, a panelist and a professor of political science and public policy administration at UMSL, said that it would be wise to look at Ferguson Commission recommendations that could get bipartisan support, such as the much-lauded example of Missouri Senate Bill No. 5 from the last legislative session, and work on those initially, leaving more contentious recommendations such as Medicaid Expansion for a time when it is likely to pass. “If you looked at the 189 recommendations and tried to craft a legislative agenda for the next Missouri general assembly, you could identify at least 10, maybe as many as 20, that could get through,” Jones said. Did you miss Part One of the "Ferguson Commission: Where Do We Go From Here" panel? You can find it here. Ferguson Commission members Byron Watson and Rasheen Aldridge. Watson had also commented that what makes this report different is that each recommendation is attached to an “accountable party.” That is a party that an individual can follow up with to make sure the recommendations are followed through. “Really focus on items that you think you can make effective change on. Go out and find whoever it is, whatever accountable party, and take a moment to sit down and talk to them. It doesn’t have to be your legislator, in some ways it shouldn’t be your legislator. Go out to Jefferson City, start knocking on doors, and find that champion to you and your group that will be helpful in getting something through the legislature. Knowles, who spent eight years as a lobbyist in Jefferson City, said that he had talked with protesters early on who were protesting in Ferguson about Bob McCulloch. “’Why are you outside the Ferguson Police Department ranting about getting McCulloch to do something,’ I asked. You’ve got to know who your audience is and the change agent you’re trying to influence,” said Knowles. Willis Johnson, pastor of Wellspring Church. And...why should we work for change? Updated at 1:20 p.m., Sept. 22, with audio - Change can come to the St. Louis region, but people throughout the area have to be willing to do the work. That was the message Monday night at a roundtable at Wellspring Church in Ferguson looking at the 189 recommendations outlined in the report of the Ferguson Commission. Part one of a two-part "St. Louis on the Air" broadcast of a public town hall to discuss St. Louis' next steps with the Ferguson Commission report. Part two will be broadcast at noon on Wednesday. 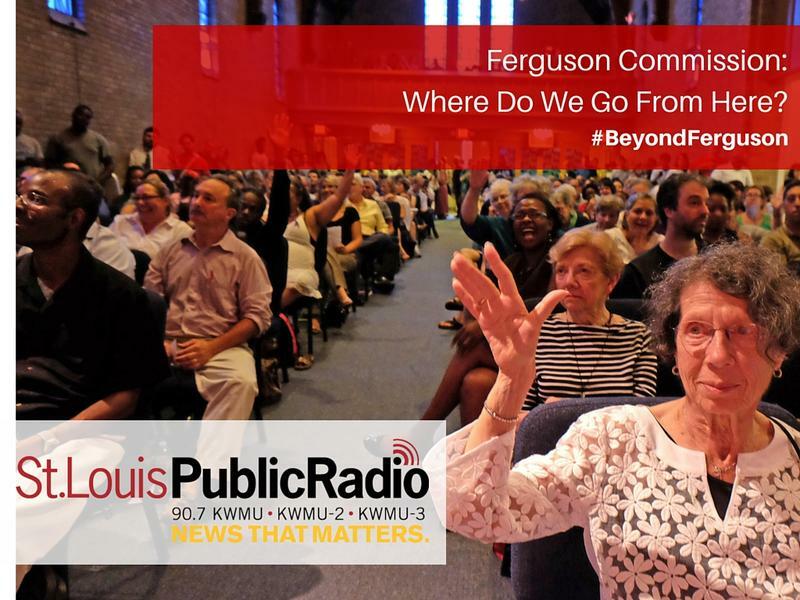 Want to hear Part Two of the two-part "Ferguson Commission: Where Do We Go From Here?" panel? You can find it here. Ferguson forum attendees try to choose a top priority. And it isn't easy. At our latest forum at Wellspring Church in Ferguson, we wanted to help those attending visualize their top priority for moving Ferguson forward. Ferguson Commission Report: What are YOUR priorities? 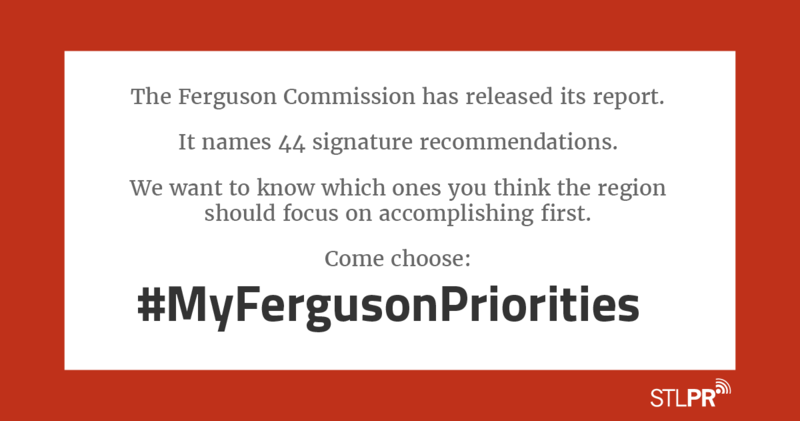 The Ferguson Commission Report is out, with 44 signature recommendations. The commission divided their calls to action into three groups: Justice For All, Youth at the Center, and Opportunity to Thrive. Because everything can't be priority one, we want to ask: What would YOUR priorities be from these recommendations? The Ferguson Commission has released its long-awaited report filled with calls to action for St. Louis government, the criminal justice system and the community. Join St. Louis Public Radio for a public town hall on Monday, Sept. 21, to discuss the report’s recommendations and what can be done to make them a reality beyond Ferguson and effect positive changes in the area.